The mining deal was one of several trade and investment agreements signed between the two countries, both currently under Western sanctions, during the September 2014 visit of senior Russian government officials who included Foreign Affairs minister Sergei Lavrov. Upon completion, it will result in the establishment of a 6 500-hectare Darwendale Platinum mine producing 80 000 ounces of platinum, pushing Zimbabwe's output to over one million ounces and creating 8 000 jobs in the process. 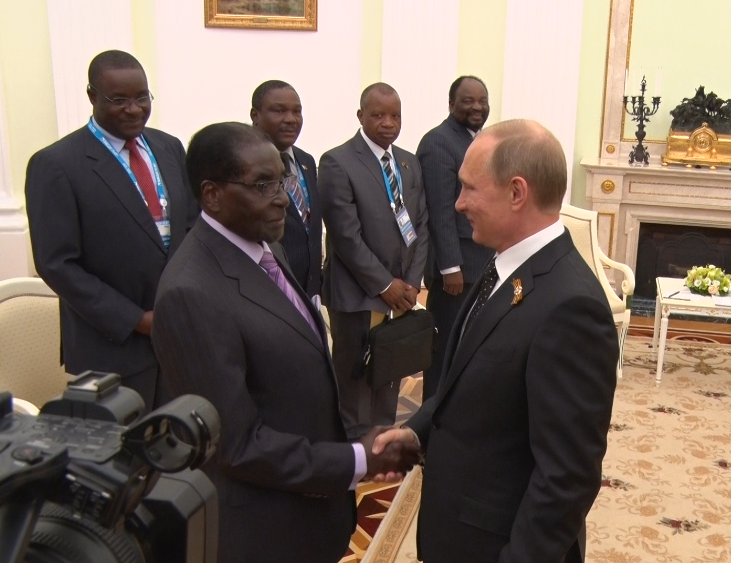 The platinum deal involves a consortium of Zimbabwean investors operating under the name Pen East and Russian investors that include VI Holdings, Rostec and Vnesheconombank -- a state-owned bank which describes itself as the "bank for development and foreign economic affairs". However, the European Union (EU) slapped sanctions against Vnesheconombank and four other Russian banks on July 31, 2014 describing its actions as a "response to the illegal annexation of Crimea and deliberate destabilisation of a neighbouring sovereign country (Ukraine)". As a result, the Russian financial institution was banned access to raising finance, in any form, on the European market. And this, according to government sources, has adversely affected its capacity to fund the Zimbabwean project. "The Russians have not been forthcoming because of the sanctions and the fall in commodity prices including platinum. There has not been much progress beyond exploratory work in Darwendale as a result," said one government source who added that Zimbabwe is close to giving up on the Russians. The source said government is now banking on China which also signed several agreements to provide loans to fund projects in energy, telecommunications and construction. "Our hope lies with China and if that money does not come, then we will be in trouble, should I say, we will be in a mess as a country. Our light at the end of the tunnel is China honouring those deals," said the source. However, Zimbabwe needs to clear at least US$50 million in debt arrears and show commitment to paying its debts estimated at US$1,5 billion before Sinosure, a leading Chinese insurance firm guarantees loans to Zimbabwe. On Wednesday, the Russian embassy officials acknowledged receiving e-email ed questions from his paper but did not respond saying they need more time. "We have received your email but you proposed answers to some questions. But it's short notice and for now we are not ready to respond to your questions. You will have to re-send the questions to the same email but this time direct them to the attention of our press attaché," said an embassy official. Finance Minister Patrick Chinamasa did not answer calls to his mobile phone.